A recent Eurobarometer poll has found that the majority of Spaniards, a sizeable 54 percent, believe that “without the euro, with the peseta, we would have been able to confront the economic crisis”. Somewhat surprisingly, perhaps, this is higher than the eurozone average of 45 percent. 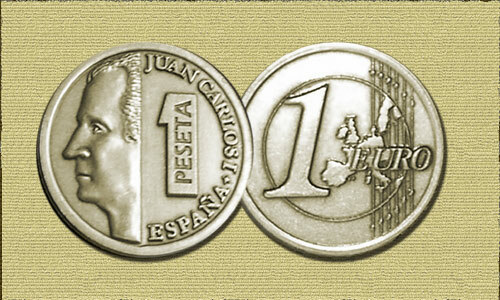 (In a 2007 Open Europe poll, 51 percent of the Spanish said they would prefer the peseta over the euro – so the peseta has been missed for some time). In an interview with Spanish daily La Vanguardia, the Head of the European Commission's Representation in Barcelona, Manel Camós, has set out a rather customary EU explanation as to why people hold such odd views: ignorance, what else? This makes us think that the public has not understood the advantages of the euro because the experts, in general, are convinced that thanks to the euro we have had the [economic] development that we have had and that we can overcome the crisis. He goes on “both interest rates and the inflation rate have decreased. Before the euro in Spain the interest rate was higher than 14% and now, in spite of the crisis, it is around 4%". Ah, Señor Camós, those ill-informed Spaniards who don’t understand that the single currency only comes with benefits. How can they believe the words of people like the EU President Herman Van Rompuy, when he now admits that the euro served as a “sleeping pill” for the eurozone? Or the Bundesbank President Axel Weber when he points out, in the wake of the crisis that "the benefits of monetary union, in particular lower interest rates and the elimination of exchange rate risk, have not always been used wisely and have tempted some countries to live beyond their means" (e.g, the Spanish housing bubble)? Or EU Commissioner for Competition Joaquín Almunia, a Spaniard himself, when he notes that countries like Greece, Portugal and Spain have experienced “a permanent loss of competitiveness since they are members of the Economic and Monetary Union”? The truth is that keeping up with German monetary policy has undercut Spanish competitiveness and put strains on the economy, while low ECB interest rates have served to fuel the Spanish housing bubble, the effects of which we now see. At the same time, devaluation to put this right is now not an option for Spain which in turn will make the adjustment much more painful for ordinary people. Surely, any serious commentator or official must take this into account before accusing people of not getting it? In fact, it wasn’t the people who got it wrong on the euro, as Mr Camós seems to suggest, but the self-appointed EU elite (as we’ve documented here). At least some of them now have the courage to admit it. Should the EU spend money on culture? There has been some confusion surrounding a story in Monday's Telegraph. The headline, which reads "EU's secret £400m for 'crazy' projects", confuses two separate types of EU spending. The 'secret £400m' relates to spending recorded on the Commission's EU funds database that is marked as "confidential". A budget line (e.g. humanitarian aid or justice and home affairs) and recipient country is provided but there are no details on how the money was spent or which organisation(s) spent it. Between 2007 and 2009 there were 727 such 'confidential' grants. The website merely states that "In certain cases, some parts of the information displayed on a particular grant or contract may be masked, e.g. for security reasons," which is pretty vague when it comes to £400m of taxpayers' money! However, this should not be confused with the various culture projects cited in the article, which are not 'confidential' but funded through the EU's culture programme that supports a range of projects of arguably differing value (some good, some irrelevant and far too many outright wasteful). 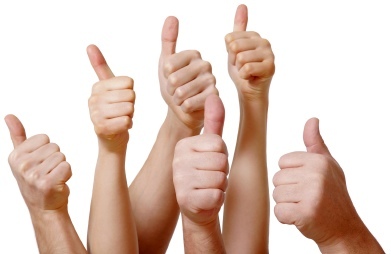 What counts as a worthy project will always involve a degree of subjective judgement - and we appreciate that the people involved in a project in most cases genuinely feel that their individual project adds value. However, at a time when virtually every European government is tightening its belt, the EU continues to propose budget increases and award projects which cannot possibly qualify as good value for taxpayers' money (which is both the fault of the Commission and member states). This is simply unacceptable. EU spending on cultural projects is particularly interesting in this regard. Public money on culture is always controversial precisely because of the subjectivity involved. It's also interesting because it illustrates the crucial, real-life trade-off: spending £160,000 on a 'flying gorillas' dance troupe is all very well, but if taxpayers are faced with a choice between having their money spent on flying gorillas or a few extra nurses - we suspect most of them would prefer the latter. In an economic downturn, with Europe smack in the middle of a sovereign debt crisis, this is the trade-off we're facing. And even leaving this aside, should the EU really be involved in culture in the first place or is this better handled nationally, regionally or locally? Here there's also a democracy problem: involving the EU moves accountability for these controversial spending decisions a step further from citizens and there is no one to punish at the ballot box if taxpayers feel their money is being spent inappropriately. This, in turn, breeds contempt and the type of sentiments that the Commission professes it wants to work against through its various cultural and communication programmes. However, what should be said is that when it comes to the cultural programme, the Commission is commendably transparent about where and by whom the money is spent (the UK also has its own system which you can search) - which is not always the case for the rest of the EU budget. So to clear this up, these projects were not funded via a 'secretive' EU fund and the details of the funding can be accessed publicly online. Home Secretary Theresa May has just announced to the House of Commons that the UK has decided to opt in to negotiations on the European Investigation Order (EIO). It will give foreign police forces the right to request UK police to seek and share evidence on suspects. This clearly poses fundamental questions about safeguards for civil liberties and the new pressures it will place on police resources. Let us first give May some credit for giving a statement in person and allowing questions to be put to her rather than issuing a mere written statement (She has done good work on parliamentary scrutiny of EU issues in the past). However, it should also be said that MPs have not previously had the chance to scrutinise the proposal either in the European Scrutiny Committee or in the House. The truth is that, although May did her best to push the 'nothing to see here line', the Government cannot guarantee how the final directive will look until after negotiations with other member states and MEPs in the European Parliament, which under the Lisbon Treaty now have powers to co-decide in justice and home affairs. May said that signing up to the directive did not present a loss of sovereignty. But John Redwood made the valid and important point that if the UK doesn't have the ability (which it doesn't) to opt out of the European Investigation Order if it ends up as something "different to what was advertised" after negotiations then this must imply a loss of sovereignty. The Home Secretary admitted today that there are aspects of the current proposal the Government does not like. This will now be decided by qualified majority voting, meaning the UK is powerless to veto the EIO either if these unwanted elements are retained or if new and unforeseen amendments are added along the way. This is not to mention the fact that, as a result of Lisbon, the European Court of Justice will have the power to make rulings on how the EIO is interpreted in the UK. Given this Government's pledges to protect civil liberties and reduce bureaucracy in public services, such as the police, this is surely too big a gamble to take. A poll is currently being conducted to vote for the UK’s top political blogs. If you want to have your say, all you need to do is to rank at least five of your favourite blogs and e-mail your vote to toptenblogs@totalpolitics.com. One last recommendation: please hurry up - the deadline for voting is the end of this week. Sorry for the short notice! Good blog post we've just noticed from Ed West on the Telegraph website here. He takes issue with former Labour Europe Minister Denis MacShane, who described Nigel Farage, leader of the UKIP MEPs in the European Parliament, as "extremist" on Twitter, when mentioning that he was to be on last night's Question Time. "So which side are the extremists?... [the] Wikipedia definition puts it: 'In democratic societies, individuals or groups that advocate the replacement of democracy with a authoritarian regime are usually branded extremists, in authoritarian societies the opposite applies.' If opposing this new empire in Europe makes one an extremist, then count me in." Where the problem comes is with the notion that the Labour Government would have been able to 'sow up' Britain's entry into the euro but for Balls' intervention. Additionally - it is a revealing portrait of how voters were treated on all things EU under the previous Government. What about the small matter of the referendum that would have been required? 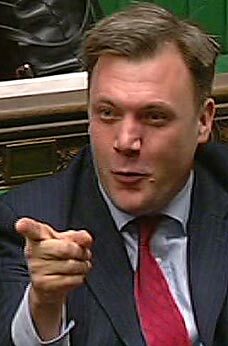 Does Balls not think the public might have had a rather more important say in the matter? We have looked before at the interesting report from ING on how much a eurozone break-up would cost, arguing that any such estimate must be weighed against the medium to long-term alternatives (i.e. wealth transfers between member states and permanent losses of competiveness) of keeping the eurozone intact, questions which the ING note leaves unanswered. 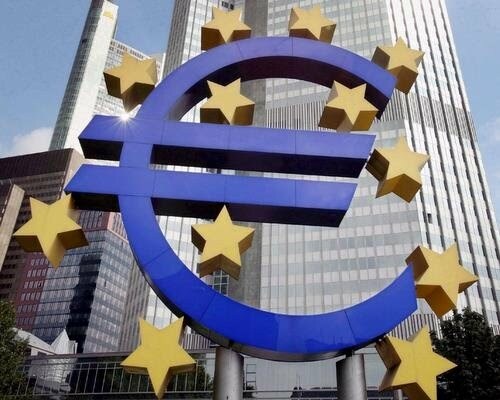 However, a study by Capital Economics has now looked at just that, predicting that the break-up of the eurozone would be beneficial for both weaker and stronger members, because it would bring about the necessary rebalancing of the region's economy. The report shows that large divergences in competitiveness emerged during the life of the eurozone not just between Germany and the PIIGS, but also between Germany and some of the countries comprising the so-called ‘northern bloc’ within the eurozone. 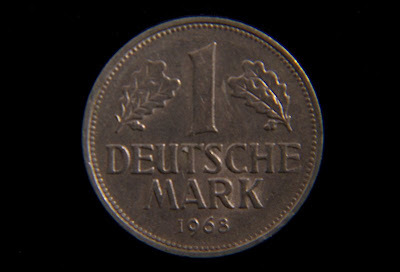 While Germany's real effective exchange rate (REER) continued to fall, now standing at around 95 (according to a standard they use, which puts the year 2000 at 100), France’s REER has risen by 10% over the period, its competitive position therefore deteriorating by about 15% in relation to Germany. The authors note that this is a significant enough shift, but other countries have fared much worse, with Belgium’s REER rising by about 12% and the Netherlands’ by 18%, putting both countries at a substantial disadvantage against Germany. A similar development can be seen in unit labour costs (ULCs), with Germany’s ULCs now standing about 5% above their level in 2000, while France’s, Belgium’s and the Netherlands’ are all up over 20% since the euro was launched. The conclusion of the report is therefore that the so-called ‘northern bloc’ might do much better through the departure of Germany – rather than that of the PIIGS. The report also claims that Germany and the northern bloc “should cut taxes and increase public spending so as to boost demand within the zone at the same time as the deficit countries are making the opposite correction.” This is, however, a disputed argument, as the report acknowledges. It should be noted that not everybody agrees that Germany's increase in competiveness and the imbalances within the Eurozone are simply caused by the Euro. ECIPE Director Fredrik Erixon argues that "the Eurozone has not given the sort of boost to German exports that many people, including Commission chief Barroso, is now suggesting". He argues that this view fails on two accounts, pointing to how German growth boomed along with a nominal strengthening of the Euro, and suggesting that Germany really increased its trade through political reforms that managed to bring labour costs down (and more competitive). - ill-suited eurozone interest rates have led to booms and busts in fast growing economies (Ireland, Spain, ...) which didn't follow the (slow) growth path of Germany and its neighbours. He recently also described the euro as “a sleeping pill”. These insights should lead us to question whether the measures currently being contemplated by EU leaders to save the Euro (more budgetary supervision among other things) will be enough to deal with those root causes of economic imbalances. One alternative may be large fiscal transfers, but what we can be sure about is that voters (the ones who will actually be paying for the fiscal transfers) do not want them. The other more radical alternative, as the Capital Economics report suggests, might be an orderly break-up of the euro into smaller and more sustainable currencies. A great report on EUobserver today features some very revealing comments by a, disappointingly, anonymous EU official about the "mushrooming" cost of the EU institutions, and their total disengagement from the debates going on across Europe about the need to cut government budgets, and improve value for money for EU taxpayers. "Austerity measures at the moment have yet to really set in, but in the autumn, this is going to be tangible, with salary and social benefit reductions, pension cuts. People will begin to feel it, and people will look at us and say: 'How is it that they are immune, they keep growing when we are having to cut back?' The number one issue should be to stop the mushrooming of the institutions. We don't need new institutions. There is a tendency to think every time there is a new problem, the EU can solve it with a new institution." "We should also shut down the Economic and Social Committee and Committee of the Regions. These institutions were born when the parliament had no power, was not a factor. Now this is a duplication. There is no real need for these bodies." He certainly gets our vote on that. It is a shame that the identity of this official is not shared, although he would certainly shoot any chance of career advancement in the foot with his outspoken comments which confirm many of the gripes people have with the EU institutions. Nonetheless, a few home truths such as these delivered to his colleagues might go a long way. It also comes amid what is shaping up to be a fierce battle over the EU's 2011 budget. The Commission wants an increase of 6%, compared to the 2010 budget, while national ambassadors want to limit that to 2.8%, which one MEP branded 'offensive', and member states potentially want to push for actual cuts to the budget, i.e. the 2011 budget to be less than the 2010 budget. A scandalous prospect to be sure, but regardless, let’s hope this wave of realism penetrates the mindset of a few more European politicians. After all, is it really so outrageous to suggest that there is more than a sliver of fat that could afford to be trimmed from the EU budget, or that employees of the European institutions cannot expect continuous rises to their salary and benefits while their compatriots working in member states hunker down for pay freezes and renegotiations of their benefits package? The public affairs firm Waggener Edstrom issued their first ever study of the influence of EU affairs blogs yesterday, ranking the Open Europe blog 7th overall. We attended the launch yesterday and the discussion sought to compare the EU blogging culture with the vibrancy of political blogging in the US. Unsurprisingly, everyone concluded that it is nowhere near as advanced and there was also much lament that the 'tone' of debate was rather tame in comparison. But more interesting was some people's assumptions rather than their analysis. The complexity of the various institutions and the fact that there tends to be more interest in national personalities were cited as temporary obstacles to a more US-style cut-throat "democratic debate" or clash of ideas, which could be overcome with time. Someone suggested that blogging could provide the glue to create the "dream of a European public space" for political debate. It was hard not to leave the room feeling that a rather fundamental point had been missed but it was also a striking reminder of how (some of) the people who have been in Brussels a little too long have cut themselves off from the outside world. The "politics of EU integration" (more or less Europe) is an entirely different species to "EU politics" (how the EU policymaking machine works). Understandably, Waggener Edstrom, a public affairs firm, is only really interested in the latter because its business is to serve clients who are seeking to influence the outcome of EU policy, and this means targeting MEPs or the people drafting legislation in the Commission, for example. The impression was that most people in the room either live in denial that there is a distinction or are simply too caught up in the 'Brussels bubble' to recognise there is a debate about the former. The real 'clash of ideas' is to be found in the debate about the future path of EU integration (Should the euro crisis be used to further greater political and economic integration? Should EU taxpayers be bailing out other member states? etc). If the Brussels elite really want a democratic debate it should surely start by engaging with these rather more fundamental questions. Financial supervision: a gamble or a victory? An article in yesterday’s Telegraph celebrated the ‘victory’ of George Osborne, who, it claimed, secured an agreement at yesterday’s ECOFIN meeting that one of the new pan-European financial regulators – the European Banking Authority (EBA) – will have its seat in London. The European Parliament has demanded that all three of the new supervisors be based in Frankfurt, and working under the auspices of a 'quasi-umbrella' organisation. But is this really a victory? There was absolutely no way that member states were going to accept the EP's proposal to make Frankfurt the sole supervisory centre - it is politically impossible and MEPs know that. Remember, Germany already has the most important financial institution of them all, the ECB, and there's at least one francophone President who has no intention of allowing another key-institution be handed over to the Germans. the UK, under the pressure of its peers and of the European Parliament, has notably accepted the principle that the new European Supervisory Authorities for banks, markets and insurances will be able to address a financial institution directly – bypassing national supervisors – in emergency situations. This is potentially huge as it will for the first time - via the EBA, ESMA and EIOPA (the three supervisors in question) - give the EU direct supervisory powers, with their decisions taking precedence over those of national supervisors. We knew that this would be the case for Credit Rating Agencies' EU operations (which kind of makes sense), but the UK now seems to have lost the plot on extending the scope beyond CRAs. To be fair to Osborne, he's fighting the legacy of the previous UK government and his leverage is highly limited as this will all be decided by Qualified Majority. As a 'concession' EU finance ministers agreed that the Council (rather than the Commission, as the Commission wants, or the new EU Systemic Risk Board, which the EP insists on) will determine when an “emergency situation” occurs. But this was always the Council's position. And as was made very clear at a debate Open Europe organised on the topic on Monday - there are few safeguards in place against this mechanism being misused or hijacked by political/ideological interests in the future. Crucially, the decision on whether to call an "emergency" will be taken by simple majority, meaning that the UK has exactly the same voting strength as everyone else (despite being home to the bulk of Europe's financial sector). The potential pitfall ought to be obvious. Only a couple of months ago EU leaders used a clause in the Treaties (Article 122), designed for natural disasters and "exceptional occurrences beyond [member states']control" to make taxpayers in one country liable for the mistakes of a government in a different country, in a decision which involved majority vote (when it should have been unanimity), and which took the EU a huge step closer to a common bond (and fiscal federalism). Using Article 122 in this way was absolutely inconceivable when the Lisbon Treaty was discussed and ratified, particularly as the Treaties clearly and unequivocally prohibit bailouts (see here and here to get a feel for just how arbitrarily EU leaders used Article 122). Give EU leaders "emergency powers" and they could well use them to justify the most dramatic and previously unthinkable measures. The recent ban on short-selling in Germany also ought to give an indication of how such measures stand the risk of being driven by politics rather than economic reality or long-term thinking. There could be cases where strong and decisive action at the EU-level could be beneficial, but think about this: what exactly would the new EU supervisors have prevented in the financial crisis - given that the causes of the crisis were inherently global; a credit bubble in the US, global trade imbalances and so forth. The new EU bodies will also be in charge of drawing up a 'single rule book' in the EU's financial services market and implementing uniform technical standards across Europe, overriding national authorities. This could actually benefit the City of London by ensuring the consistent implementation of directives and standards across the bloc, i.e. uniform application of UCITS IV so that fund managers can market their funds in all member states without additional barriers. What are the boundaries of the single EU rulebook that lies behind a lot of this new architecture?...The assumption is that the single rulebook in all circumstances justifies the change, whereas I think we still need to look at each specific proposal, each technical standard that comes forward needs to be justified against more subsidiarity principles. In other words, the risk is that the EU, incrementally and over time, resorts to more interventions, in the name of a single rulebook. One need not be conspiracy-minded or euroskeptic to see that more harmonization of regulation and supervision means less room for the U.K. to outcompete its rivals on the Continent. The transfer of power to the EU being negotiated this week in Brussels will, of necessity even if not by design, erode the U.K.'s competitive advantages in the financial sphere. So this amounts to a pretty serious gamble. After all, the EU needs more safeguards against arbitrary government, not fewer. The phrase "we are where we are" was oft repeated in this evening’s debate in the House of Commons – but sadly for many MPs it seems that ‘where we are’ was anywhere other than the Green benches judging by the numbers in attendance. While a Hansard transcript is not yet available to link to for those interested in the debate – there are a few worthwhile interventions to take note of. NB: This was a debate to approve a motion on the EU’s External Action Service – allowing the Government to give its official approval to the launch of the EEAS at the next meeting of EU leaders. David Lidington made clear that EU Foreign Minister Cathy Ashton and the EEAS may only represent an EU common position where it has been agreed by unanimity among member states ahead of time. Of course while that may work in practice, EU embassies will likely be offering positions before they become official in an informal manner in third countries. The Europe Minister also said (in what we suspect is a dig at the European Parliament over their refusal to agree to the EEAS blueprint before they got everything they wanted) that those who argued that Lisbon would be an end to the institutional turf wars “were plainly wrong”. He also said that member states had resisted the proposals of the EP that it be able to hold official ‘confirmation’ hearings of the heads of EU delegations, and to bring the entire service under the control of the Commission (and by extension the European Parliament). Mr Lidington also said that the Government accepted that, despite promises of budget neutrality for the service, the start-up costs and the burden of bringing over national secondees to Brussels would require start-up funding – of which he estimated the UK’s share would be approx £1.1 million (before any reduction for the rebate). Interestingly, former Europe Minister Chris Bryant suggested that it was “optimistic” to believe that only £1.1mn additional funding would be needed (we share his opinion on this) and that there may be pressures from other member states further down the line for the EU to shoulder some of the cost burden of foreign representation. Mr Bryant also said that there was no assurance in the agreement that no additional money could be requested in order for the EEAS to provide consular services – something which the UK and other countries are opposed to anyway. 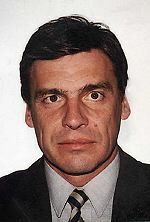 And finally Richard Ottaway, new Chair of the Foreign Affairs Committee in Parliament, said that he thought the increased role for the new EU delegations – the fact that they represent the EU as a whole rather than the Commission – was potentially “one of the most significant changes” introduced under the Lisbon Treaty. Update: The results of the division were 321 in favour of the motion, 12 against. Parliament stamps its approval on the EEAS. "The position of our minister of finance and also my personal and our political party [position] is as it was before, that we really do not agree, we really do not agree." Crucially, according to Reuters, Radicova said her Cabinet would only meet to discuss the issue on Wednesday, meaning Slovakia would not be in a position to sign off on the €440 billion aid package when EU finance ministers meet to discuss it tomorrow. To say that the Slovak Finance Minister, Ivan Miklos, will come under pressure at tomorrow's EU meeting is most definitely an understatement. Is it possible that there is an inverse relationship between currency success and performance on the football field? Without bothering to do any sort of analysis – let us conclude No – and rest assured that joining the euro would not have improved the performance of England’s World Cup squad, nor Sweden’s chances of qualifying. Perhaps the Netherlands and Spain could play the game in the spirit of the West Germany/Austria match at the 1982 World Cup and declare a victory for the eurozone as a whole – boosting consumer and investor confidence? In the likely (and welcome) absence of such an outcome, Paul the psychic Octopus has predicted that Spain will win Sunday’s World Cup final – and he has been right about every game predicted so far this tournament. Despite the threats on his life outlined in various German newspapers - Spanish PM Jose Luis Zapatero has offered (£ link) to send protection teams to ensure he lives to see if his prediction comes true. As for us? We’re backing Team Eurozone! How much would a eurozone break-up cost? A first attempt (to our knowledge at least) at quantifying the cost of a possible break-up of the eurozone has been made by Dutch bank ING. The report carries the title “Quantifying the Unthinkable”. A break-up of the eurozone, it says, “would have effects that dwarf the post Lehman Brothers collapse”. The report predicts that a new Greek drachma would crash by 80pc against the new Deutschmark, and the currencies of Spain, Portugal, and Ireland would fall by 50pc or more, causing inflation to soar into double-digits. The Italian currency would devalue with 25%, the French with 15% and the currencies of the Benelux, Austria, Finland with 7.5%. It goes on to suggest that "in the Eurozone output falls [would] range from -4% in Germany to -9% in Greece. Elsewhere the impact is particularly large in neighbouring European economies. Thus GDP falls 3% in the UK and 5% in Central and Eastern Europe." It notes that the Germany and the stronger economies would face a "deflationary shock", while "weaker leavers could see inflation hit double digits as their currencies plunge". The US dollar would rocket to 85 cents against the euro equivalent, with a “temporary overshoot” to near 75 cents. This would tip the US into acute deflation, threatening North America with a double-dip recession. However, the analysis also admits – and this is key – that it doesn’t take into account the costs of keeping the eurozone intact, noting “Some argue that the current sovereign debt crisis has exposed EMU as not being what economists would call an optimal currency area. We do not address the potential long-term pros and cons of dismantling EMU here.” To pretend that the one-off cost of a break-up wouldn’t be huge is silly. But any such estimates must be weighed against the medium to long-term drawbacks (i.e. wealth transfers and permanent losses of competiveness) of keeping the eurozone intact. The note leaves that question open. The estimates themselves also strike us as suspiciously (and spuriously) accurate. But preliminary work on this should still be welcome. We now anxiously await the first study on the second part of the question. 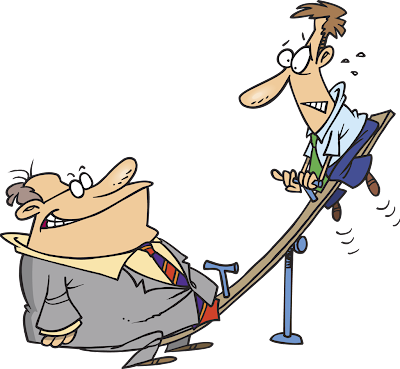 A comment on Seeking Alpha raises the potential issue: "Are we being blackmailed? (...) Why would large European banks and insurers intentionally write up exaggerated risks in the event of a eurozone breakup? (...) ING and most other European financial organisations own trillions of public and private sector eurodebt. They know that if a Greece bailed out of the euro, it would also default on its debt (or devalue it in euros) and ING and others would take a mighty haircut. And considering there would appear to be no upside to a eurozone breakup (from the perspective of an ING), it seems natural they would want to exaggerate the risks to the wider European economy." Unnecessarily conspiratorial, but there’s no doubt that certain banks have huge stakes in this. Jean De Ruyt, head of the Belgian permanent representation to the EU, has ruffled a few feathers in the European Parliament, marking a more exciting than usual start to his country's turn at the helm of the EU's rotating presidency. (They're all exciting, honest). "The biggest stumbling blocks for the presidency are with the parliament, an incalculable and badly organised partner. You do not know whether the opinion of MEPs is decided by the content of a dossier or by the wish to be seen and show their power. In some matters they do not even know that themselves." Jo Leinen, German MEP, said that he found the remarks "astonishing". After regaining his composure, he retorted, "Clearly, the problem is that some people have still not come to terms with the new powers now enjoyed by parliament under the Lisbon treaty." Leinen's valiant attempt to defend the EP from De Ruyt's accusation that it is power mad continued, "There is a new balance of power in the EU but it seems some want to preserve the old dominance of the council." The statesman-like Lib Dem MEP Graham Watson also decided to wade in with a not-too-subtle jibe at Belgium's current political predicament: "The European parliament exists, the Belgian government does not. The Belgians should get their own house in order before they criticise others." In footballing circles, this would certainly qualify as 'playing the man and not the ball' but, as De Ruyt said, MEPs often give the impression that they are less focussed on the substance of an argument than on simply shouting down any criticism altogether (Some MEPs' treatment of Czech President Vaclav Klaus comes to mind here). De Ruyt is one of Belgium's most experienced diplomats, having previously been ambassador to Poland and the permanent representative of Belgium to Nato and the UN in New York. Diplomats with CVs as extensive as this rarely speak out of turn and the reaction that De Ruyt's comments have produced would suggest he might well be on to something. Is the eurozone bailout legal? We've asked this question several times before, but the German think-tank Centrum für Europäische Politik has now also produced a very interesting study on the topic. In the study, the CEP trashes the legality of the €60 billion credit facility, agreed in May (as part of the €500 billion bailout package). This facility, as we set out here, involves the European Commission borrowing on the markets, using the EU budget as collateral. The legal base for the fund is Article 122 of the EU Treaties, intended to provide assistance to EU states in the event of natural disasters or sudden energy blackouts, ("exceptional circumstances" beyond a member state's control, as the text states). The study is all over the German press - and it certainly provides ammunition to the legal challenges against the bailout, currently making their way through the German Constitutional Court. The study claims that the public has been deceived on several points, arguing that the aid scheme will not be limited to three years, as the Commission claims, but would be “installed indefinitely”. “The public has been assured that the EU cannot borrow above a maximum of €60 billion. In the legal text no such regulation can be found," says the author of the study, Marcell Jeck. The CEP also argues that the EU has misused Article 122 as a legal base for the bailout fund and that the European Parliament was not consulted, which amounts to a breach of EU law. The report also suggests that the bailout package does not satisfy the terms of the German Constitutional Court’s previous rulings, as it does not provide a strong enough role for the German Parliament in approving aid. The German government today responded to the study, with spokesperson Christoph Steegmans refusing to comment on the legal challenge itself, only saying that Germany is entering "unchartered constitutional territory". He added, "The federal government has always taken great care to minimise possible constitutional risks along with the emergence of the EU aid package." Everybody is now awaiting the verdict from the German Constitutional Court on the legaility of the aid package. Tomorrow at 11h30, a press conference will be held by the four Professors who launched the legal complaint with the Court. 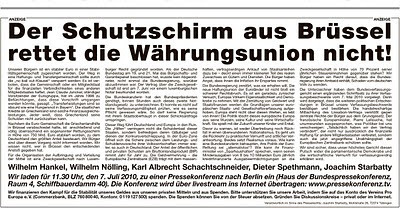 In an ad (see picture) in today's Frankfurter Allgemeine Zeitung, they argue: "the aid package from Brussels does not save the currency union (…) It is forbidden that the Community or a Member State is liable for the financial obligations of another Member State (…) we are sure that our highest Court will declare this coup unconstitutional against parliamentary democracy and economic efficiency." 1) As the CEP points out, the use of Article 122 in this way involves a heroic legal interpretation - particularly as the European Council has previously said that Article 122 must be compatible with the “no bail-out clause” in the EU treaties. The fact that Article 122 involves Qualified Majority Voting, rather than unanimity, makes it even more outrageous. 2) As the CEP also points out, the bailout package has sidelined the Bundestag and Bundesrat, despite the German Consitutional Court making a stronger role for these bodies in EU affairs conditional on approving the Lisbon treaty in its ruling on the Treaty last year. The Court has come closer and closer to rule EU Treaties incompatible with the German Basic Law, in the cases of Maastricht, Amsterdam and Lisbon - but has always stopped just short of pulling the trigger. Will it go for the nucelar option this time? Well, it would be a cataclysmic event if it decided to rule the bailout illegal - our feeling is that they will probably stop just short this time as well. At the end of the day, this Court is not immune to politics, and the politics of the bailout is driven by a too-big-to-fail logic. But which ever way one looks at it, it doesn't seem right.